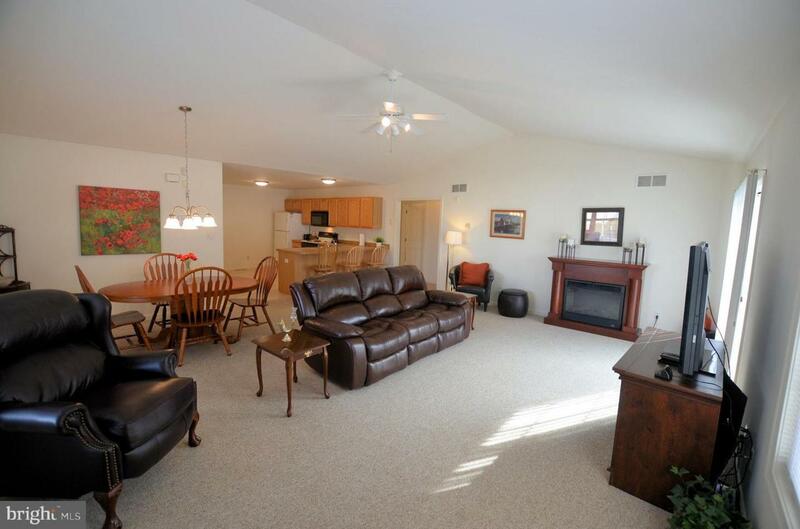 An open and spacious floor plan awaits in this beautiful 55+ adult community home! New ceramic tile compliments a fully applianced kitchen with generous counter space and cabinets. 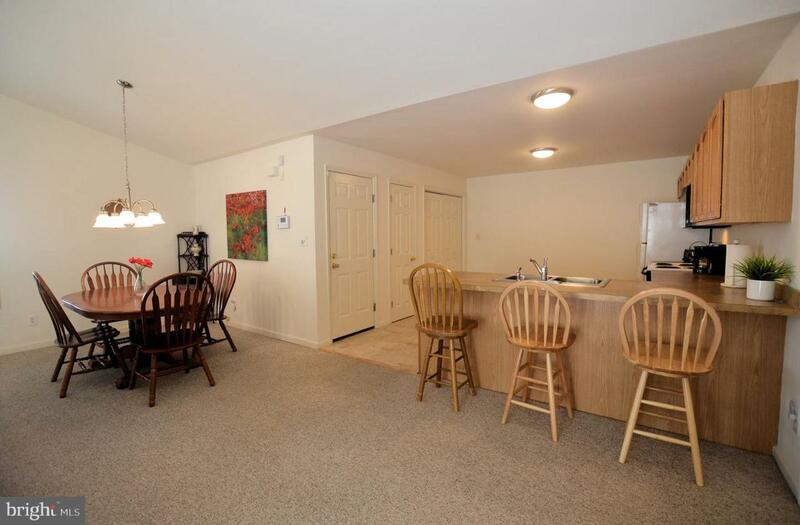 The large kitchen includes laundry and pantry closets and access to an over-sized one car garage with storage. Flooded with natural light, the great room has high ceilings and is large enough to accommodate a dining area and your big screen TV! There are sliding doors off the great room to an outdoor patio. 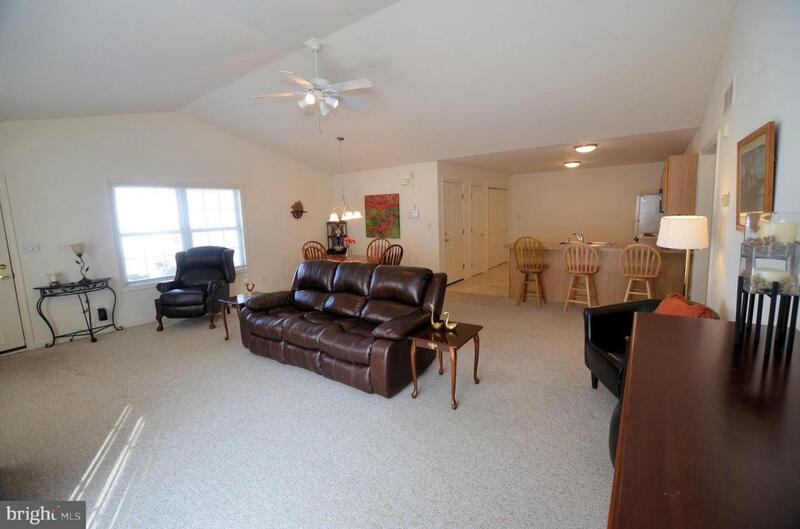 The master bedroom has a roomy walk-in closet and a private bath with a walk-in shower. The second bedroom is generously sized with ample closet space and direct access to the hall bath with an additional walk-in shower. Both bathrooms have new ceramic tile flooring. 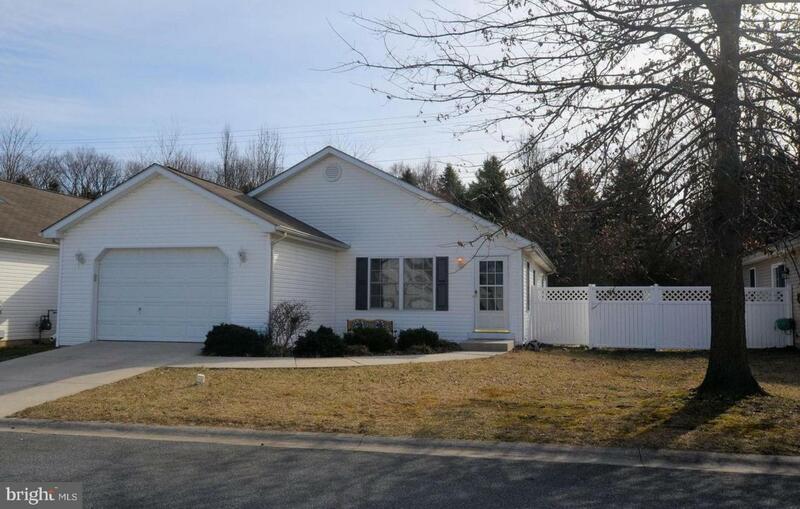 This lovely home is convenient to the Dover Air Force Base, shopping centers, and restaurants in the Dover area.